The mural "Air Mail" by Daniel Rhodes is being honored with a postage stamp. 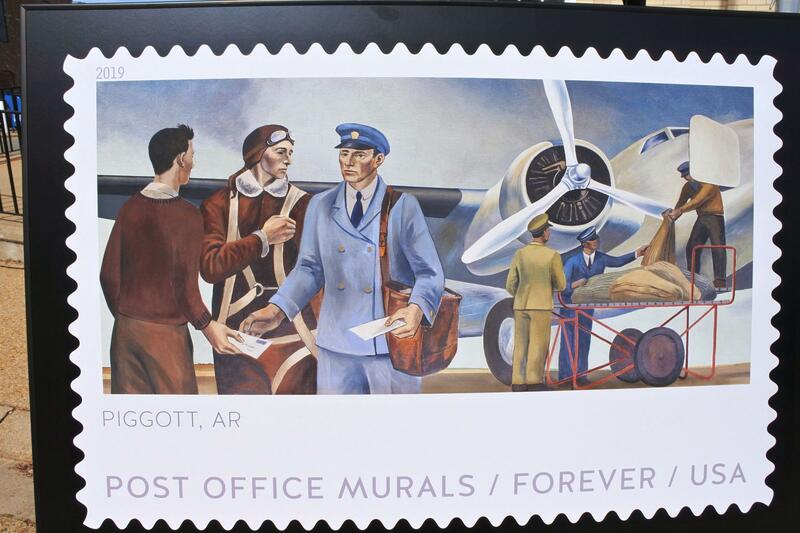 The nearly 12-foot long, 78-year-old, oil on canvas mural inside the Piggott Post Office is being featured on a new stamp issued by the United States Postal Service. “Air Mail” by artist Daniel Rhodes is one of a series of murals commissioned by the government in the 1930’s and1940’s to add beauty to the lobbies of post offices and provide some work for artists during the Great Depression. Local postmaster Stephanie Jett said people have been coming in every day to view the mural since word of the stamp. The Piggott mural as a featured on a Forever stamp. “It is so neat to think that our little bitty town will be on envelopes worldwide,” she said. Family members of Iowa artist Daniel Rhodes (1911 – 1989) said since he was so forward-thinking and always ready to move on to his next work, they hadn’t heard much from him about the Piggott mural. Researchers said he had been paid $700 for the work, which was significant money during the Great Depression. 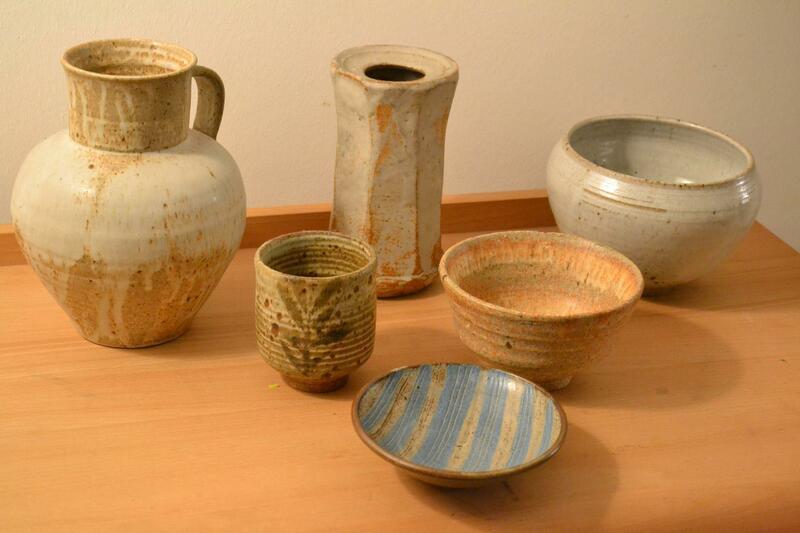 The artist was better known for his work in ceramics and pottery. The artist’s daughter, Lorna Rhodes, said Daniel Rhodes was better known as a ceramic artist, but that she could detect his style and personality in the painting which hangs in the Piggott post office. The mural, which was painted in 1941, depicts a local letter carrier helping pilots to load bags of mail on to their airplane. Visitors viewing the mural on Wednesday noted that the colors look even more beautiful in person than in photos. Post office clerks in Piggott said they lost track of how many Post Office Murals stamps they sold, with some people buying as many as 100 sheets at a time. The Forever stamps currently cost 55 cents and will always be valid for a one-ounce, first class letter. 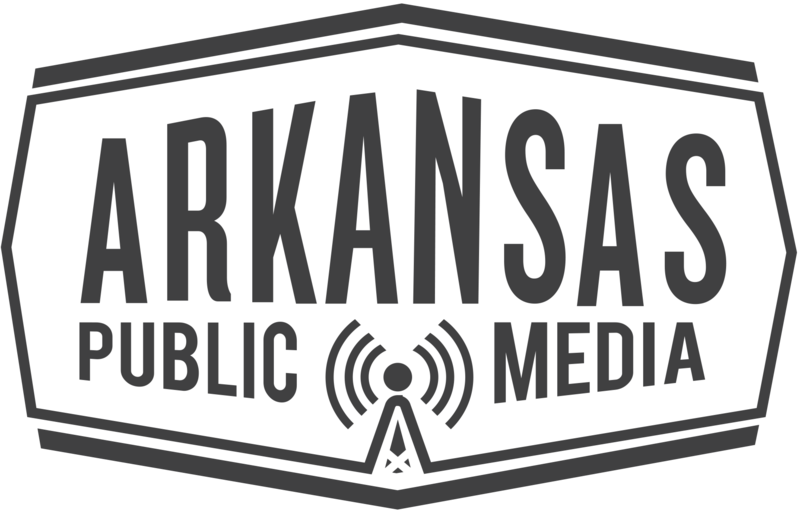 Check out Arkansas Public Media's video from the First Day of Issue celebration in Piggott on April 10. The recent Johnny Cash Heritage Festival in Dyess has reneweed interest in the musical legend's childhood. In this new video from Arkansas Public Media, we take a look inside the agricultural resettlement home in rural Dyess where Johnny, then known as J.R., lived with his parents and six siblings after the Great Depression.